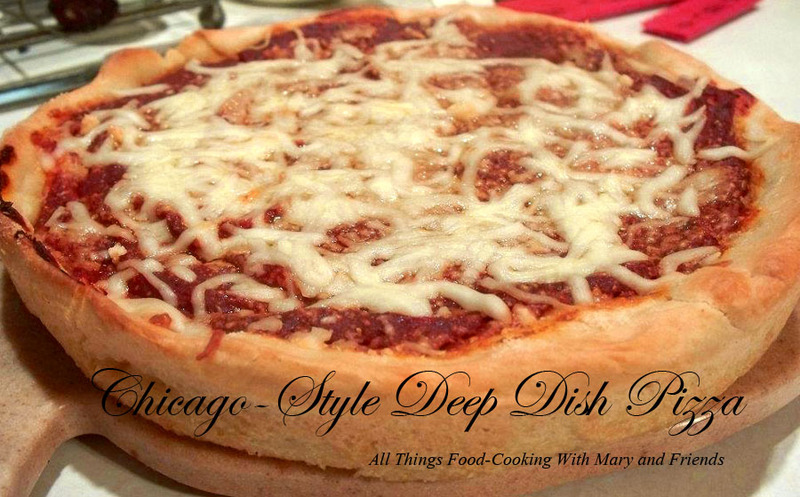 While I did not use just sausage (I added pepperoni because I love it) this Chicago-Style Deep Dish Pizza is a favorite of mine and the grandsons! I hope you enjoy it. Original recipe adapted from King Arthur Flour. While the dough is rising, ready your deep-dish pizza pan (I used a Spring Form Pan with the removable side). Grease it with non-stick vegetable oil spray, then pour in 3 to 4 tablespoons olive oil, tilting it to cover the bottom of the pan, and partway up the sides. Remove it from the oven, and carefully lift it out of the pan onto a rack (since I used a Spring-Form pan, all I had to do was release the sides). Allow the pizza to cool for about 15 minutes (or longer, for less oozing) before cutting and serving.